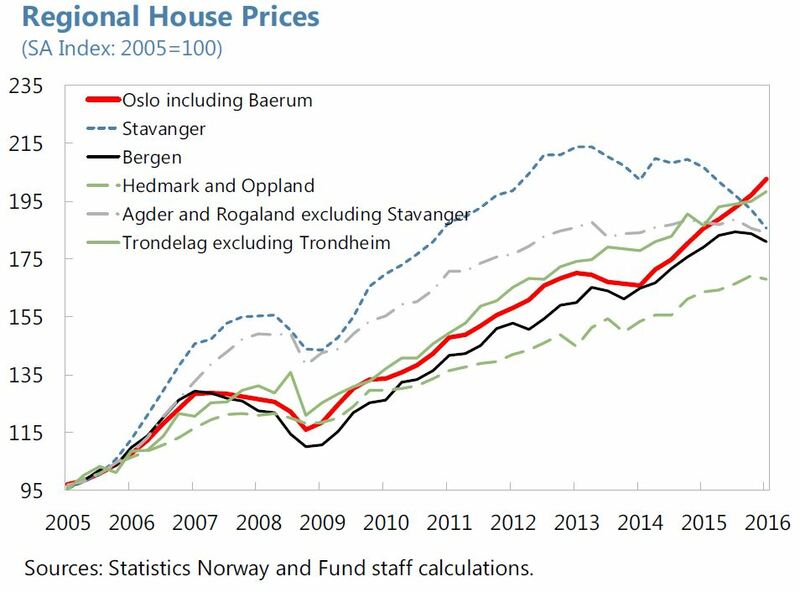 “High and rising house prices and household debt in Norway pose important macro-financial stability risks. 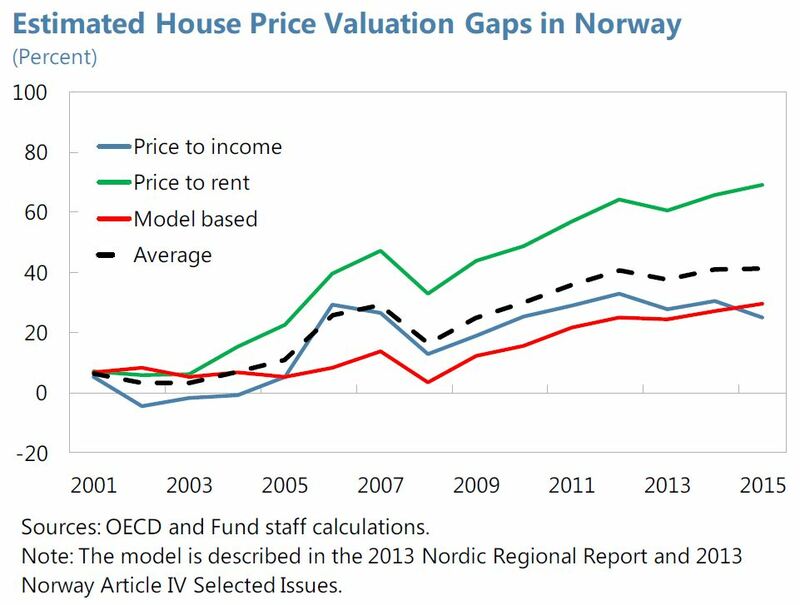 Real house prices have risen more than 80 percent in Norway since 2000. Currently, house prices are estimated to be 40 percent overvalued (…) The authorities have introduced a number of measures targeted at the housing market in recent years. (…) Empirical evidence suggests that LTV limits and mortgage risk weights can have significant effects on the growth of mortgage credit and house prices. (…) Results based on a DSGE model suggest that tightening macroprudential measures can reduce household debt ratios with relatively little impact on consumption over the medium-term. (…) Systemic risks from overvalued house prices and high household debt levels suggest that macroprudential policy measures could be tightened further. Addressing structural factors contributing to high household debt and house prices, such as mortgage interest tax deductibility, would reinforce the impact of macroprudential policy measures”, according to the IMF’s report on Norway. See a separate note here on macroprudential policies.